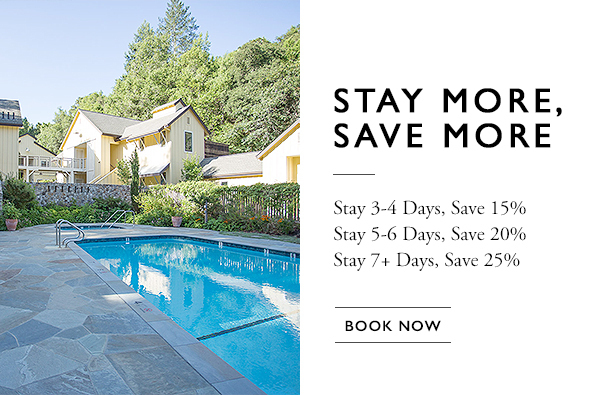 Folks the world over travel to Sonoma County for a variety of reasons, including the pristine landscape, the many wilderness adventures, and the unmatched hospitality of the Farmhouse Inn. In addition to all this, Forestville offers up an extra treat with its charming “downtown,” an assortment of specialty shops packed into just three blocks, where Highway 116 becomes Front Street. Spend an afternoon exploring the cozy, quirky mom-and-pop venues that make our town such an enchanting place, including Lucky Mojo Curio Co., purveyors of handcrafted spiritual supplies, incense, candles, herbs, spell kits, and more; Ideal Hardware, where you’ll feel like you’ve stepped through a time warp to a place filled with all the quality home goods you can’t seem to find anymore; and Sunshine Organic Coffee Roasters and Espresso Bar, where organic fair trade beans are prepared according to gourmet brewing standards. Call ahead to reserve your spot for a tour of Gerald Huth’s breathtaking art studio, where you’ll marvel at paintings, sculptures, collages, drawings, and more, all thoughtfully displayed in a converted barn that overlooks gorgeous gardens. And for the West Coast’s best jams, pies, syrups, and sauces both savory and sweet, Kozlowski Farms can’t be beat.